Your account information is located under the profile tab in the "Settings". There you can edit your personal details, define notifications, newsletter sending preferences, and delete your account if necessary. 2. In your "Profile" tab, click the "Change" button next to "Personal details". 3. Fill in all necessary fields and click "Save" at the end. Note: if the company name is provided, once you share a document with someone, this company title will be stated in the notification email next to your name. 4. Note: the "Preferred language" setting defines the language of emails and notifications you will get from the system. 5. At the bottom of your profile toggle the buttons next to newsletter or different email notifications to switch them on or off. 6. Click the "Delete Account" button at the right side corner at the bottom of your profile page and confirm the action. Note: all documents and data associated with this account will be permanently deleted and you will not be able to recover it later. Before you delete your account we recommend you to download all the documents that you want to keep. 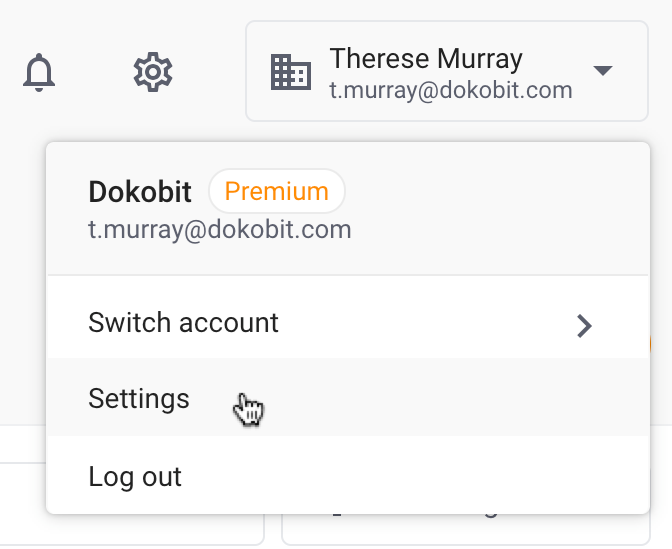 If you were experiencing any issues that led you to this decision or the Dokobit portal did not meet your expectations, we would really appreciate if you could contact us and share your thoughts. Your feedback is really important to us.